Honors Club discount of 10%. Please call for an appt, he is flexible, accomodating. He has excellent equipment. He is a Biker as well and relates well to motorcyclists. No website at time of this publishing. At Slinger Cycles we strive to provide the highest quality work to our customers in the motorcycle industry. From mild to wild, we can build your bike. Slinger Cycles specializes in custom motorcycle builds and accident repair work. If you have been in an accident with your bike, we will work with your insurance company to get you back on the road quickly and your bike will look as if nothing ever happened! Weld pro is a certified metal fabricating shop. We've been in business since 1993, growing year after year through word of mouth customer satisfaction. I've used their services to weld a broken aluminium shifter. Riding in Style Leather can alter and repair motorcycle garments. Contact Sally at 902-252-3377 for your motorcycle gear requirements. 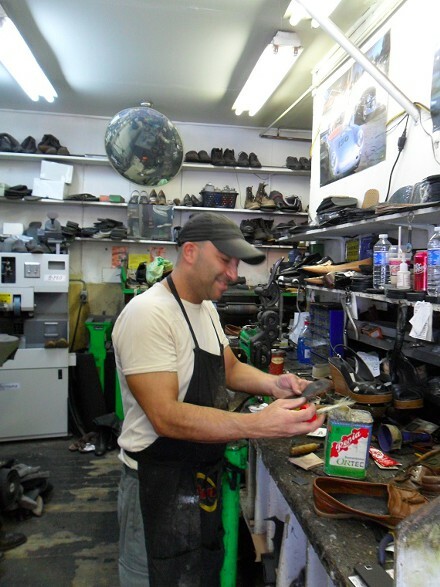 See Dimitri Christeas for Motorcycle boot or shoe repair. He can also repair straps. Maybe more. A very personable fellow who gives great service.